...This is a drinking bro’s bar. The whiskey list alone should bring every guy in NYC running. An Upper East Side gem, this bar boasts an extensive list of alcoholic options from solid craft beers, to the aforementioned whiskey list of doom, to cocktails that Bros and ladies will love (the Garden District includes basil infused Wodka, Yellow Chartruese and cucumber-mint syrup. I. Can’t. Even.). Try the second floor balcony for a sick view of 2nd Ave that’ll make you wish you never took that shoebox in the East Village. ...Five Mile Stone, 1640 2nd Avenue (between 85th & 86th) // The corner on which Five Mile Stone sits seems to be cursed. So many restaurants and bars have come and gone on this corner that it was a shock to hear that one of the UES’ most talked about openings was taking place here. But I think File Mile Stone might have just stumbled upon the right formula for sticking around: an extensive beer list, simple but incredible menu items, and a young, hip atmosphere. There’s two bars on two different levels (which is a major perk for people like my fiance and I who prefer to eat at the bar than at a table), and plenty of sitting and standing room everywhere. ...A bi-level spot, located at the northeast corner of 85th and 2nd Avenue in Manhattan’s Upper East Side, Five Mile Stone is a solid addition to the NYC UES craft-beer bar crawl. Opened in early March, 2014, Five Mile Stone offers 24 quality tap beers from across the U.S. (along with a few from overseas) as well as a dozen wines by the glass and another dozen or so by the bottle. 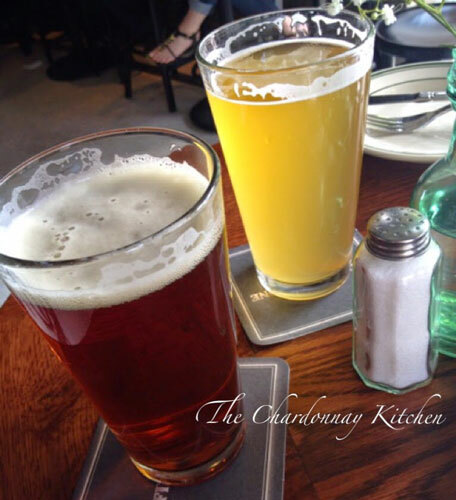 Happy hour specials include $5 draught beers. With bars on both levels, Five Mile Stone offers high-top seating for parties of two and four. The downstairs bar is semi-circle shaped (as is the 24-tap beer system). We look forward to returning here the next time we are pub crawling in this section of NYC.